A conversation with a professional marketing manager and how their company sells new products into big retail stores. Catalpha: I'm talking with Tracy today. She is the Retail Marketing Manager for a large consumer health products company. Tracy, if you could tell me a little bit about what your responsibilities are? Tracy: Sure. My responsibilities are to build out the marketing programs within retail. So that's creating the tools for the stores, whether that's indoor events or signage or it could be coupons. I'm driving traffic to the store in the Sunday paper, and driving traffic to the aisles and increase the sales in the stores. As well as working with each individual retailer on their marketing program. And part of that is supporting our sales team and getting them the tools they need to make sales calls, trade shows and trade ads to sell our products into stores. Catalpha: Wow, that’s a lot on your plate. Do you occasionally do sales calls with the sales people? Catalpha: Who are these people that you're going to see. What's their title? Tracy: They are the buyers for that particular category where we are trying to place our product. So if we're going to try to meet with a buyer to get additional therapy products in, we'd be meeting with the first aid buyer, for pain products, we'd be meeting with the top analgesic buyer. Or if it's foot pain, it's going to be the foot product buyer. And the reason we do that is to lay out the all-encompassing marketing plan and how we're going to support our product launches. Also to get more information on what kind of marketing plans and what marketing initiatives each retailer has. 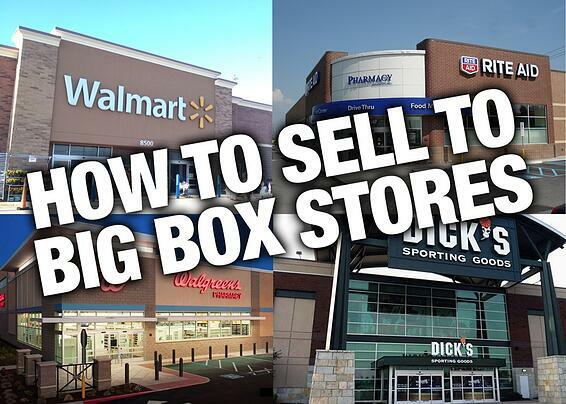 Catalpha: These are big box chain stores, is that correct? Tracy: Yeah, I mostly go to the bigger ones. Our team really goes to all size retailers. We have a team for independents, pharmacists, running stores, all the way up to the big box retailers. Catalpha: So you're targeting all sizes and kinds of stores? Tracy: Yes, our team goes out to regional grocery stores, then we have different trade shows that target more of a regional mid-size retailers, and the larger ones. So yes, our team goes to all of them. Catalpha: Okay. And I'm making an assumption that a smaller chain would have fewer buyers, or maybe they have one buyer? Tracy: Sometimes small chains – even some larger ones, they share categories. So the same buyer would be for our therapy products and maybe even the foot products depending on the chain where some larger ones might have different buyers for each product. Catalpha: How hard is it to get in front of a buyer? Tracy: It depends. Usually there is a review period. For instance Walmart is definitely harder to get in front of. For our therapy products, they haven't even reviewed the category for the past few years. So this is the first year that we got in front of them. So it can be harder. Typically they go one review a year. We have one opportunity to get in front of them a year. Catalpha: How far ‘out’ do they buy? Do they buy for the following year? Tracy: Usually. I would say it’s depends on the retailer. But four - six months out. Catalpha: I know that Walmart is obviously harder to get into but do most stores welcome people with new products? Are they eager to look or is it difficult? Tracy: They're definitely trying to stay on top of trends and make sure their category has new products and it’s profitable. So when they walk the trade shows that we go to (and exhibit at), that’s what they're looking for. They're looking for the next new thing. Sometimes, like for our foot pain therapy kit, which I think is a great example. Where packaging was key on that. Previously that product had been presented, but this year we got a lot of interest on it and it’s the same product that they've been presenting, and the packaging was completely different. So I think for that particular product it was new packaging with fresh creative that created the interest. For that category it was something different. They're used to seeing creams and lotions that are typical – or like the insoles that are typically in the foot category. So, yes, they’re definitely looking for new products. Catalpha: Okay, for somebody that hasn't seen that product before, this is two existing products that are packaged together and marketed as a solution for foot pain. That was different than what you normally see with your creams, well, mostly creams I would imagine. Tracy: Yes. Usually that category has the wort creams and the anti-fungus type stuff. So it's definitely a different solution for pain that they currently don't have. Catalpha: What kind of factors does a buyer think of when they're considering a product? What's going through their heads? Tracy: I think they're looking at their set and seeing if there's any possible gaps where they could increase their sales or draw attention to that category. I think that's the main thing. Obviously they're trying to make their set profitable and keep it new and innovative. But also keep the consumer coming back. Catalpha: Do you think it's easier to go in and sell one product or is it easier to sell a series or a line of products? Tracy: That's a great question, I think it depends on the category. I think – as we've been finding out — for beauty products, you need to go in with a complete set. They wouldn't want to add just one or two items for the beauty category. They want a complete and different line of products with coordinating fragrances in the different products lines. So for that instance having a set is better. But for topical analgesic products, it's such an over-SKU’d category, there's already a lot of products in there. And sometimes it's hard to find room. So getting five items in that set would be very difficult. If you had one or two I think it would be a little bit easier. Catalpha: Okay, I guess the financial side of this is a big factor as well. Do they know that you have suggested retail pricing? Do they (the stores) follow that? When they look at a product, do they say, I have a better margin on this particular product than I have on somebody else's. Does that come into play? Tracy: For our products, I think we're doing a pretty good job of managing that and getting the retail prices pretty similar, other products of ours are a little more all over the board. We know the margins that they work off of so it's part of our pricing strategy. If we're giving it to them at this cost we obviously have a certain margin that we need to make. And we wouldn’t try to gauge where it’s going to end up. Catalpha: So how does aisle signage play into this? Is that something that you offer as an incentive to them? ...to the buyer? Or does it depend on whether they have room? How does that normally work? Tracy: Well, we work with News America on our in-store signage and there are certain stores that are already pre-authorized with them. So, we know we can go into Rite Aid, Kroger, Walgreens and they already work with News America. So if it’s a standard shelf talker, a standard size, we can just do it. Of course we’re always going to show our buyer we’re working with and make sure that they’re on board, too. But we technically don’t need to get approval from them. If it’s a customized POP, like our therapy product piece, where you touch and feel the item, they still have to get approval because it’s out of the standard realm of what those marketing departments have allowed in store. A lot of stores are clean signage and they’re trying to keep other signage minimal. For example, Walmart is not on News America’s list. But if we come up with a compelling signage that we want to support our brand, what we would have to do is design that, have a conversation with the buyer. If she’s going to approve that, then we can get News America involved to merchandise it in the stores. We do that a lot when we’re presenting. That’s part of our support. We’re big in our education, educating the consumer. Part of that is at the shelf. So we always pitch that as something that we would do to help launch the products. Catalpha: Okay, I know we’ve done sell sheets for you in the past. How important are those? Is that meant as a leave behind or a reminder? How does that normally play into your pitch? Tracy: A couple of our teams use them in different ways. Inside sales - the people that are selling – trying to get prospects and start-ups like independent running stores or independent pharmacies, they use them in their emails and direct mail. They might include a sample with it, they might walk into the store and leave it behind. And then as far as our retail team, they’re used mainly for trade shows or we send them out with samples. But retailers already know samples are coming. So mainly for retail, it’s trade shows and having them as something to reference and to be used as a conversation starter. Catalpha: When you’re preparing for a buyer meeting, how do you determine what’s best to present? Tracy: A lot of times what we’re doing is brainstorming and then we see what sticks with the buyer and what they like. Because obviously they know their stores and their consumers the best. So we like to have a couple of ideas, but we’re just trying to get an all-encompassing marketing program so we give our products the best chance to succeed. I’ll meet with the brand team or the product team making sure that we have a French style website for Canada, social media will be in place, we have PR in place. And then I’m working on doing, trading with the in-store beauty advisors and the in-store marketing programs that that retail offers and executing some of those sampling programs. So before we went to the meeting we brainstormed some good ideas, put them on slides and then we talked through them and we figure out which ones stick and we moved forward on those that stick. But at the end of the day we’re all about education and raising brand awareness and making sure that the product has a chance to succeed. Tracy: Yeah for example, we had an all-encompassing marketing program on retail. And in the presentation we had a picture of a display. And the buyer pointed it out and she said “I like that”, I’d like to do a soft launch with the display of the products on the shelf. And that’s what we’re doing. Catalpha: Wow, great. So you mentioned web and social and PR. When you say web, is that just a website, just pages of your products and maybe an online sell sheet? Tracy: We’re working with the brand team to make sure that – for example – for our beauty products that are in the market that there is a webpage that they can see with that and then we’d have more info about the ingredients and product benefits. Catalpha: Where does the web come into play in your presentation? Catalpha: Okay, so the web is out there for the general public? Tracy: Yeah. We did bring it up for example when we did a package refresh of one of our products. We showed them that we updated it to be more relevant and modern but it’s not a huge part of it. Catalpha: Okay, it’s just a part, it’s important to have it should somebody want to check out your brand but it’s not a major part of the promotion of your product? Tracy: It is to the consumer. Definitely. It’s just not a huge part of our presentations to the buyer, but it’s definitely a huge part as far as our branding efforts and for the consumer. Catalpha: Okay and do you try to promote that site? Tracy: We have a team that just does online and digital. So they do their thing and we definitely cross-reference with social media. Catalpha: How does social media play into that? Do you do some Facebook or is it Instagram or all of the above? Tracy: We pretty much do all of them. Catalpha: When you come up with a new product, how far do you take that product? Do you do prototypes or packaging prototypes or is it the decision made that you’re going to take it as far without an initial purchase? Do you produce first and then sell second? Tracy: In retail we typically get prototypes or samples to take to the meeting. We have to work very closely with the product team in operations and gauge the timing. When you go into a meeting, the meeting is going to be this time, then all the decisions are made by this time, the reset or the distribution date is at this time and then it would be on the shelf at this time. So in retail, since the quantities are usually so large, we get an order before we purchase. Catalpha: When a store does make a purchase do they do a test of a number of stores or do they roll out nationwide? Tracy: It depends on the product and it depends on the retailer. For example Walmart, RiteAid is taking our foot care therapy kit into a lot of stores. Target is doing 100 store test first. Catalpha: When a store purchases do they buy a case? Or do they buy dozens of cases per store? Tracy: Usually it’s 2 to 3 items per store as the initial order. Catalpha: Just 2 to 3 of one item? Tracy: Right. So if it’s in, say you get authorized in a 1,000 stores then you would need 3,000 products. Catalpha: I didn’t know that. When you are working on these initial products, is there consumer research or focus groups,? Is that done at the beginning of a product launch or does it come into play on every product? Tracy: Well, for the therapy products it was a little bit different. We did consumer testing and feedback. And they kept evolving along the way. I think now that we have been part of the bigger team we have people that have more specific responsibilities. So they do a lot more of that at the beginning but also along the way. And we get feedback from retailers. You know, the foot pain therapy kit, we changed the size of the foot so you can understand the foot roller a little bit better. We get feedback and change things along the way. If we have packaging changes when it’s at the store we just do a rolling change on those items. So I think it’s always evolving. Catalpha: So package changes for your company, maybe not as big a deal as for a smaller company that thinks - “I’ve completed the package. I don’t need to change it.” But that’s usually not the case? Tracy: You know with our first therapy products, we had the first design and didn’t have any strip across the front and then we put the Pearl Technology across the front and then we changed that because we thought that people with the pack being blue weren’t understanding hot and cold or just thought it was an ice pack. So we put that strip on there which helped a little bit in the winter months. I mean we’ve always just did an evolving, rolling change. Catalpha: Okay, there are a number of companies that I’ve worked with. They’ll do one package and I just want them to understand that it’s not always a one and done situation. It’s a one and let’s get some feedback now and then how is it selling and what do customers think and you’re supporting that obviously by all the changes that you have gone through. I’m aware of them but I want others to be aware. Tracy: You know, the biggest part of that is just keeping the same UPC. If you keep the same UPC, you can do a rolling change within the retailer. If you change the UPC, that’s a nightmare. That’s like paperwork and all craziness can happen. Catalpha: Okay. Because you’ve got old stock out there and you don’t want to waste that, you don’t want to tell somebody you’ve got new packaging and all of a sudden they want a new package. And maybe they don’t want the old package anymore. I don’t know. Is that what you meant? Tracy: Well, for example, with Walmart they wanted the graphic on the front but we already started to produce the larger graphic for RiteAid, Kmart and Kroger. So we thought that’s an operation supply chain issue that they’re making sure that Walmart gets the correct inventory. And we’re not giving a run-out, the old packaging with the other retailers. When we run out of that, there'll be a rolling change to what Walmart has today. Catalpha: Earlier you mentioned trade shows and it almost sounded like maybe that might be an initial point of contact with stores. Because they are out looking. Is it manufactures that are presenting at the show and the buyers attend? Tracy: Yes. That's definitely a good starting point. A lot of times we know the buyer by then. We have great relationships with our buyers. So it's just kind of another time to touch base and tell them what we were doing since the last time we spoke. It's usually at the end of the summer, so it could be right before our meetings and we can throw out some marketing ideas. For example we did the shelf talker at many CVS’s this year. We threw that out as kind of an idea and then Walgreens, and Kroger loved it. So that's what we’ll be rolling out next year. But it's definitely another time that we can get in front of them and touch base on what's going on. Catalpha: How many shows are there, that are worth being at? Tracy: NACDS is our largest one. And then there are different eCRM’s depending on the category. So this year we’re doing this bath fragrance one for our beauty products. They have a new fitness one which we tried last year. I'm not sure if we’re doing that one again or not. This year I have the health care show which we will do. They have a convenience show that we talked about doing for maybe our One Ounce product. That’s for the 7-Eleven type of stores but that is a newer show and a lot of our retailers that we'd want to see – some dropped out, so we didn’t end up doing that one. And then DMDC is one that has more regional players we would like to get in front of. Catalpha: I know you have a fairly big booth and you command some attention because of that. Are there a lot of smaller companies at these shows? Or, if they were a smaller company, can they make as big a splash? Or perhaps they've got to work harder at it? Tracy: NACDS is your typical trade show like what you think, where you have trade show booths on the floor, there is also some distributor shows, like Cardinal Health runs a really good trade show that’s like that. I mean obviously bigger booth can get more attention just because they’re bigger. But I think there are a lot of smaller companies that can do it right just by having the correct message. And people understand who they are and what they do and they have compelling products. Actually GMDC and ECRM are very different, we always say like speed dating, like you sit in a hotel room and your product is in there and you have your presentation and your people and your buyers come to a hotel room. So that’s a bit different. Catalpha: And that’s what they call a show? Catalpha: Are all the manufacturers taking up side by side rooms for that type of show? Tracy: Yeah, you’re just literally in a hallway and you’re making a product presentation with a tablecloth and a banner stand and displays or something like that, but not a full-fledged booth. Catalpha: Okay, interesting. I would assume you would have to pre-commit or have them commit to a meeting. Or is it you just show up and they go down the hallway? Tracy: Oh yes, there is a lot of back and forth to get your schedule lined up with buyer schedules. Catalpha: When we were worked together on a previous product, and I thought this was interesting, and I don’t know how big of an impact this had, but you were getting your product into TV shows and movies - product placement. Did that generate a lot of excitement for your product? Tracy: Yes. We hired a PR agency for that. And there’s the print in magazine aspect of being an editor’s pick. There’s, the editor taking it on to Good Morning America. And then there is getting it into movies. And that’s a big part of creating a buzz around our product and getting consumers and buyers excited. Catalpha: I know you also had some relationships with sport figures. Was that successful? Tracy: Yes, it was a great fit for the time and it added credibility to our brand. You know, this professional athlete actually came to us. So he was excited about it, so it showed the consumer this person that is very physical, works out every day, they love our products and use it at home. Catalpha: What do you think a company should focus on when they’re trying to get into a particular store? Where do you think they should put their limited marketing money? Tracy: I think it’s about creating the story around the brand and having the buyer and the consumers believe your story and your products. I think that’s the biggest part. It should have such a story behind it. You know, everyone presenting believes in the brand and the products and it’s new and innovative and it makes other people want it and believe it. PR definitely helped us create the buzz around the brand. But honestly I think the sales people going out and being passionate about telling our story and getting the buyers to take it in. Catalpha: So as long as that passion was behind it, that obviously came across in presentations and other forms. Tracy: Once your product is in the stores, you have to have a website and social media and the other forms of marketing. I keep saying this, my friends and I, we all have three year olds and under. And a lot of us work. So we’re working moms with toddlers who don’t have time to sit down and read a magazine but I find about a lot of brands and products, through social media. I think that will continue to be a huge part of marketing. Catalpha: Yeah, something that maybe a lot of people don’t even take into consideration. They’ve got a product, they’ve got an idea but they don’t… and when we (Catalpha) see them they’re coming to us talking about packaging but there’s – that’s important obviously but there are some other factors here that they should take into consideration. Tracy: Packaging is part of getting someone to pick your product – well — it’s part of the product. And when it’s on shelf getting someone to pick it up and read it and hopefully purchase it, I think social media is part of the brand awareness part. Getting people to the store to buy it. So they’re both very important. They just play different parts of the purchase. Catalpha: Right. They come in at different times of the purchasing decision. Okay, I think we’ve covered quite a bit. Can you think of anything that might be important for somebody coming in that’s either refreshing their brand or starting to package their product? Is there something that they need to take into consideration? Tracy: I think a lot of it is the passion behind your story, also putting yourself in your consumer’s head. I think a lot of times you can get really close to what you’re doing. You might see it one way but in reality, the consumer sees it differently so I think it’s good to kind of get some outside opinion throughout the process to kind of put you in check or to verify what you’re doing. Because I think it is sometimes hard when you get so close to it. Catalpha: Okay, well thank you Tracy, that was a very interesting conversation. I hope this can conversation can guide others that are selling their new products. If you have any comments or questions on this article, we'd love to hear them. Please use the form below.